The growing influence of the terror organization “Islamic State in Iraq and Syria” (ISIS) on Russian speaking communities has come to fruition in the North Caucasus. ISIS has not only managed to attract individuals from the North Caucasus to join the jihad in Syria and Iraq, but further to establish the regional branch “Wilayat al-Qawkaz”. Now, as a major international event in Russia 2018, the FIFA World Cup poses an attractive target for ISIS that has been threatened through ISIS’s online channels. In order to reach different target groups, ISIS has produced several high-quality propaganda videos. According to Benford and Snow (2000), social movements perceive social phenomena differently and communicate their interpretation of reality by using frames. To sustain or increase the number of followers, ISIS spreads a narrative that identifies problems, proposes solutions and offers incentives to join. Benford and Snow describe this pattern as the three frame dimensions: diagnostic, prognostic and motivational frame. 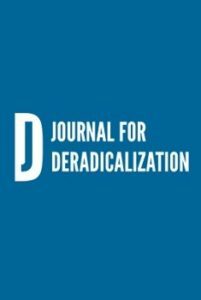 This research paper aims to highlight the strategies of ISIS’s propaganda videos in the North Caucasus by identifying the main topics within the three frame dimensions. Based on the analysis of five propaganda videos, it points out the main frames addressing the oppression of Muslims as the problem, jihad as the solution, religious duty and rewards in this world and the next as the incentives. Considering that persuasion of propaganda is only effective with credible frames, it can be observed that this requires references to real events and more important the use of reputable speakers that can be religious or militant leaders, as well as ordinary but authentic jihadists. Taking the visual frame analysis into account, the visualization of violence and community plays a huge role to create credibility, offer identity and to claim relevance as a serious opponent.